What is Room 13 Inquiry? 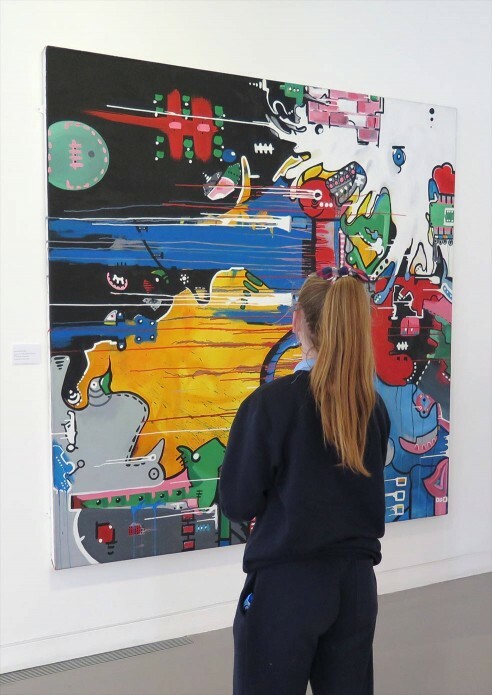 Room 13 Inquiry is a collaborative art education project that assists schools in Fingal investigate the potential of hosting an art studio for their students. 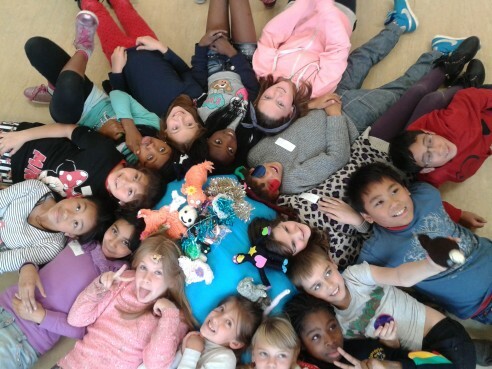 During this inquiry participants are provided with opportunities to increase their natural capacity and capability for self-expression, philosophical inquiry and art making. Visits to current art exhibitions and artists’ studios provide essential experiences for connecting with the contemporary art world and ignite dialogue back in the school studio. Each studio operates as a space where people can share ideas, expertise, facilities, and responsibilities, and make art. We’ve produced this website to capture the essence of the work going on in each existing studio and to share information with other schools interested in the inquiry. 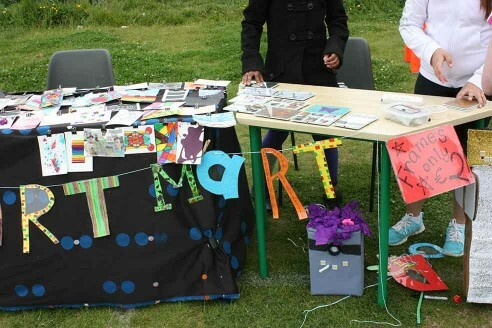 The current partnership consists of Tyrrelstown Educate Together NS and artist Anne Cradden; Scoil Bhride Cailini NS and artist Orla Kelly; and Fingal County Council’s Arts Office. How did it come about in Fingal? Room 13 is a well-established and renowned art studio programme which began in Fort William, UK, and now exists in schools throughout the world. We were interested in the studio concept for a long time and curious about how it would work in practice. We consulted with artists and local schools to assess their experiences of traditional artist-in-residence projects and to identify their art education interests in going forward. Following much thought and dialogue we embarked on visiting the original Room 13 in Caol School, Fort William, to see what a student run art studio looked like in practice. It was a wonderful visit and we were greatly inspired by the children and artist we met there. Their studio is hosted by the primary school but autonomous in all other aspects. It is managed by the students and self-sustainable. On our return to Fingal we continued conversations with artists and schools. After a sincere planning phase, the door was opened to artist Orla Kelly and to Anne Cradden in Scoil Bhride Cailini NS and Tyrrelstown Educate Together NS respectively, and to each child and teacher in the school to begin their art studio inquiry. How did work in the studio begin? Fifth class in Scoil Bhríde Cailíní NS and Sixth class in Tyrrelstown ETNS established themselves as lead protagonists in developing their studio in their schools. Initial dialogue focused on key questions around ‘studio’ and ‘environment’. Together we looked at the environments we work, play, read, and create in. We considered the spaces that we share with others and the spaces that we occupy and enjoy alone. Together we explored the idea of a ‘shared studio’ as a site supported by a community of people, for thinking and making. What is the role of the Resident Artist? The artist’s role is to offer guidance to the line of inquiry lead by the children and to scaffold their creative curiosity. The studio is for those who want to engage with it and it is not compulsory for any child or teacher to participate in studio activities. A work-space within each studio is given to the artists for their own personal practice. 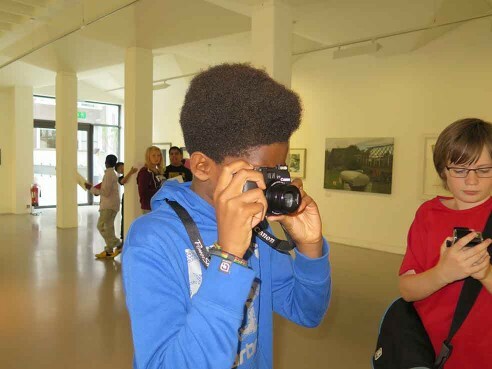 The off-site visits provide the children and teachers with opportunities to experience contemporary art outside of the school environment and inform their own investigations back in the Studio. Visiting Artists are also invited to visit the Room 13 Inquiry studios to share their work and engage in dialogue with the participants. 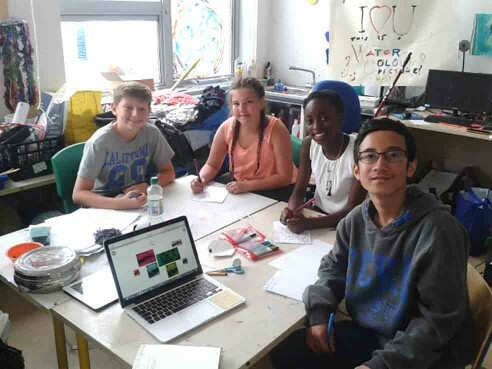 The development of pupils’ entrepreneur and enterprise skills is an important part of the studio programme. Responsibility for the studio is divided among those students with a keen interest in the mechanics of arts administration work. 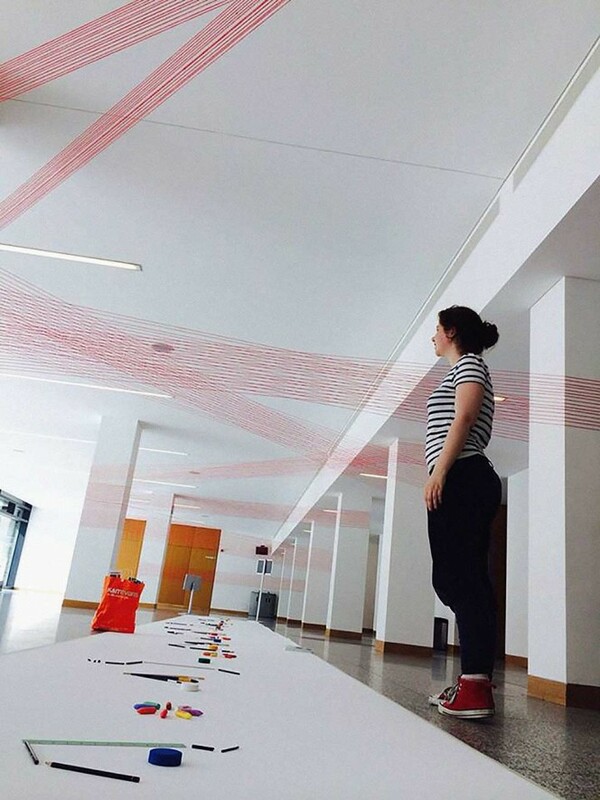 They are gaining an understanding into the work of Fingal Arts Office and the important role played by organisations and individuals supporting and contributing to the development of the arts in Ireland. Both studio projects have embarked on a fundraising campaign to enhance their materials budget. This aspect of the programme will be developed over time. All of the photography and video footage you see was recorded by the students, artists and educators directly involved in the Room 13 Inquiry unless otherwise stated. It is shot on a hand held camera, without mics, and edited in imovie. It provides raw insight into the dialogue on contemporary art, exhibitions, and studio practice experienced during the project. Students self-select for the role of photographer & videographer. We will continue to build on this as the project grows. The two existing studios are young and are evolving organically. Each week is informed by the previous and although the starting points were similar in each, the individual studios differ in how they are used and managed at this time. We are excited by what the future holds.